Our time in Vienna is coming to an end, but before we head off for Budapest we had something very special in our plans! Today we attended our first cookery class, learning all about the history of Viennese food culture, and cooking up our own meal! We were lucky enough to work with Bianca Is(s)t, and had the most fantastic time! We met our host for the day, Katharina, at nearby underground station to where the class would be taking place. After being introduced to the fellow group members, we made a few stops before heading to the flat, where the main part of the class would be taking place. The first one was pretty adventurous, for us at least. We both tried horse meat for the first time. Largely frowned upon in the UK and the centre of many a supermarket scandal, it’s quite the opposite in Austria. A local food stall not only sells but specialises in it, and served up some bit sized pieces for the group to try. Due to it having almost no fat at all, it is mixed with pork, and in fact makes up only about 30% of the overall meat content. With some bread, and dips of English and sweet mustard, it wasn’t too bad at all! 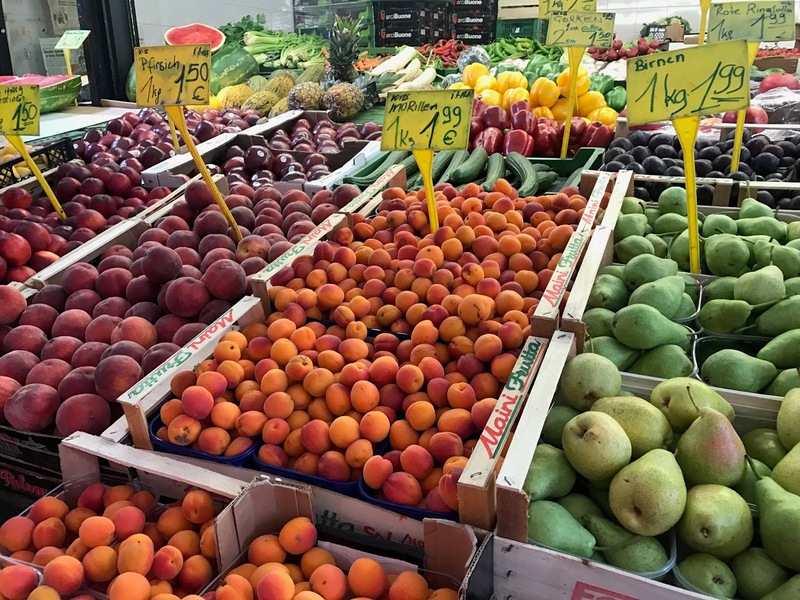 We do believe it is largely a mental thing why people don’t want to eat it, and of course that is more than understandable. But if we weren’t told what it was, we would have assumed it was pork and thought nothing more of it. It was a pretty interesting start to the class, that’s for sure! Our second stop had us feeling more at home! With having no breakfast before our 10.30am start, a classic Viennese melange coffee was much needed. With plenty of cream on top, and a delicious cheesecake-like apricot cake, we were fired up and ready for the class! 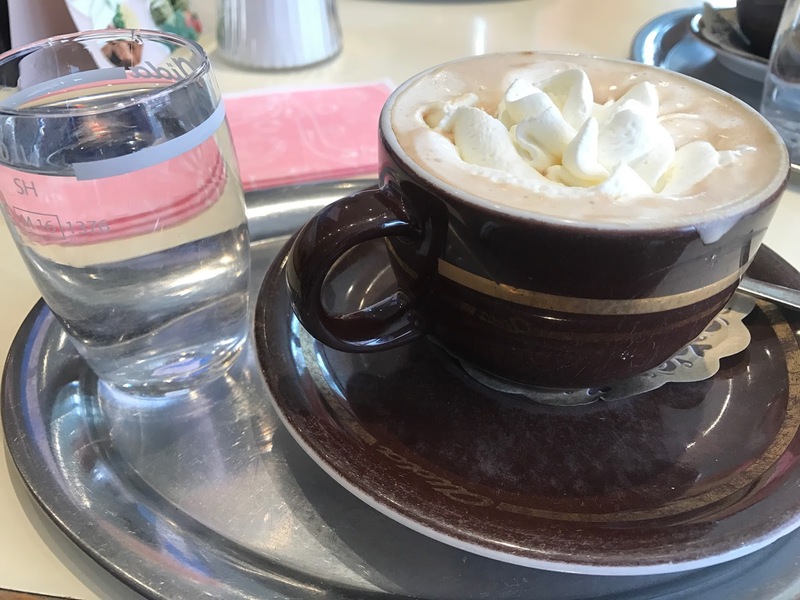 Interesting fact… the Viennese always serve their coffees with a glass of water on a small plate. Traditionally this is because they would use the water to clean their tea spoon before mixing it in their coffee. 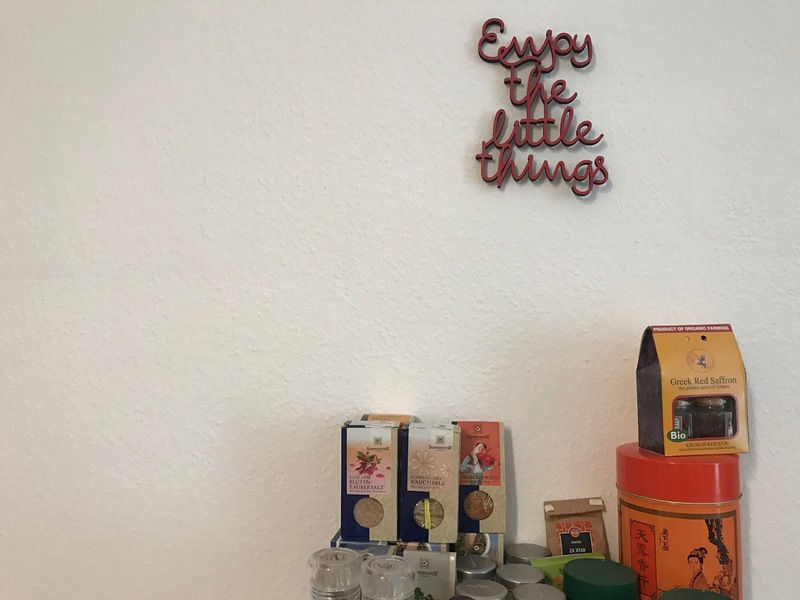 Nowadays with the Austrian water being some of the best in the world, it is simply for drinking, but the authentic coffee shops still keep the tradition going. Next stop was by 1 of the 21 food markets in the city, for some apples and chive, which we’ll be using later on. From there it was to Bianca’s (Bianca Is(s)t owner) flat. This is where the company holds all of their smaller classes, and should they hold larger events, then a small kitchen is hired out. Considering there was only 5 of us today, we gathered around Bianca’s living room and kitchen to cook up our Viennese feast! 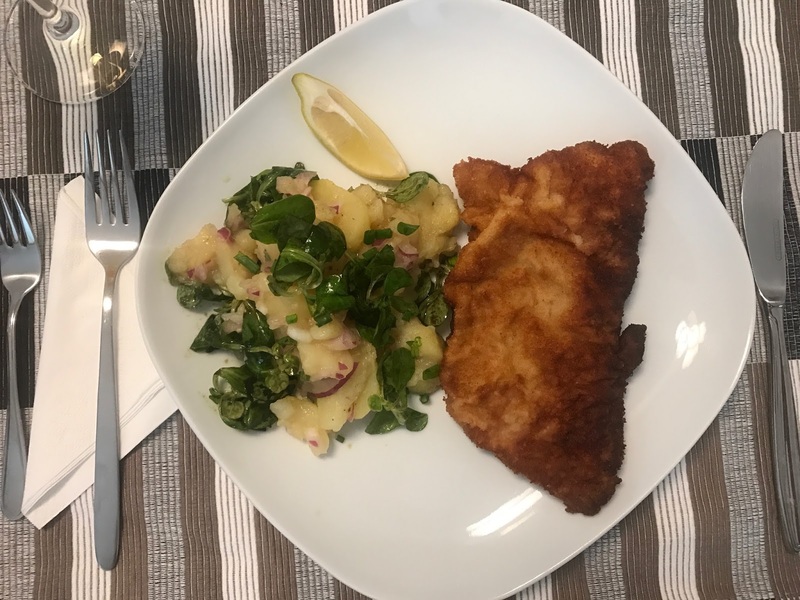 Ever since we have arrived in Vienna, it seems that on every corner we turn there is a street food stand or restaurant offering Schnitzels, so when we found out that we’d be making our own today, we knew that we’d be learning and living like a local. With a dessert offering of apple strudel, our dream was complete. After seeing a quick demo at the Apple Strudel Show yesterday, we couldn’t wait to start stretching that dough and filling it with so much apple goodness! We started off in reverse by making the dough for our apple strudel dessert. This as it needed to set before the whole thing could be put in the oven whilst making our main course. 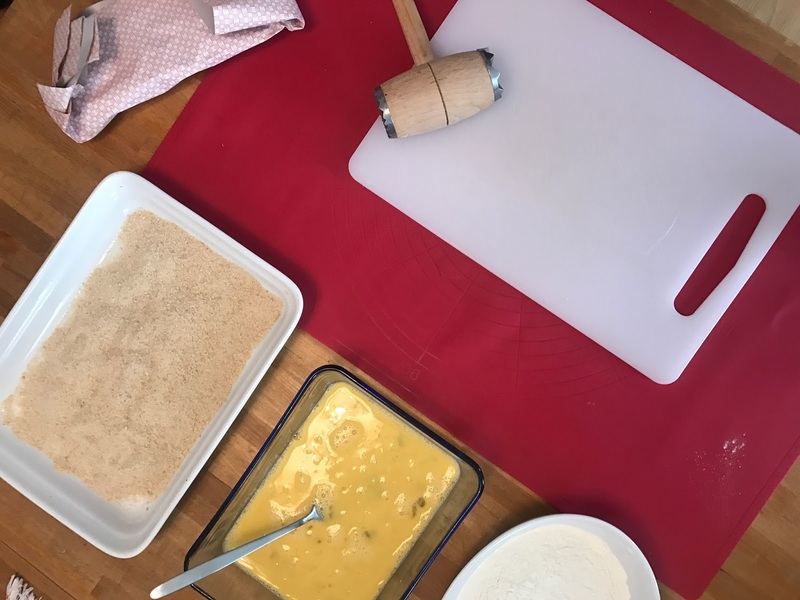 It was fair to say it was a team effort to get the perfect consistency – kneeding, pushing, pulling, folding and slamming it on the table was a lot of fun! Once covered in oil and set for a little while, we were able to stretch it out and cover it with the filling which we had also just made. 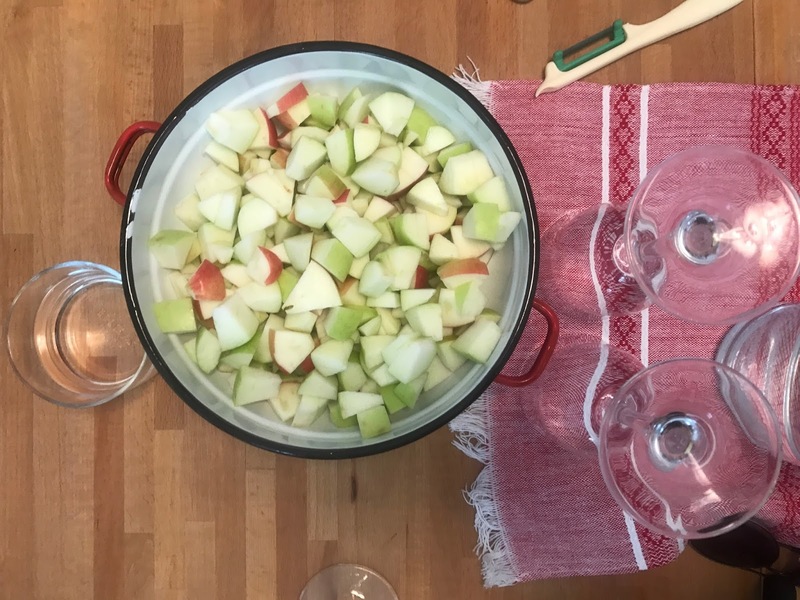 Not only were there apples but rum soaked raisins and sour cream – it was sounding and smelling so good before it had even gone in the oven. Katherina gave us a masterclass in folding and rolling the strudel so it was ready for the oven. Using the cotton cloth underneath and a few magic spells, it was together and all ready to go in the oven for 20-30 minutes. Meanwhile, we cracked on with getting our weiner schnitzels ready! Weiner Schnitzel is made with veal, and the first job was to hit our veal fillet with a hammer. Yes, you read correctly, but do spare a thought for neighbours who have now had to deal with doughs being slammed on tables and hammers on the poor piece of veal! Apparently these noises are more than common in Austrian households! Schnitzels are best with pounded meat which makes it more tender packs it with more meaty flavour and juices. From there it is is dipped in flour, eggs and breadcrumbs and is ready for the frying pan. After around 4 minutes of frying on each side, it was ready to be served with a delicious potato salad and slice of lemon. Today would’ve been fun enough at this point, but then we got to eat the results! It was a perfect end to the perfect day, and we were so happy it all turned out so well. We’re really hoping that we can re-create these when we’re back at home to see what our friends and family think! We may not have the expertise and guiding hand of Katharina, but I’m sure we can rustle up something close to what we had today. To end, a special mention to Katharina who was the most amazing mentor, teacher and head chef! 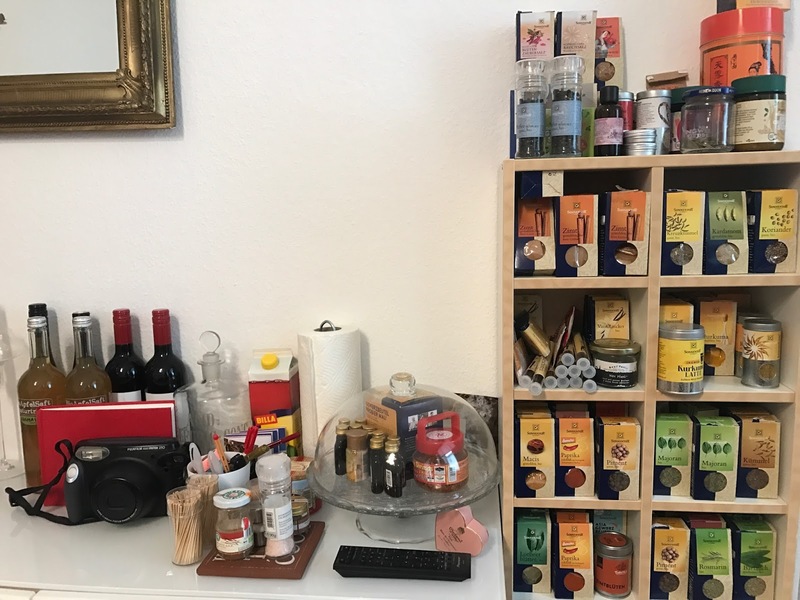 Her knowledge of Austria’s food culture was phenomenal and made everything we did look easy. She made us feel right at home and conversation was flowing from start to end. Thank you so much to Bianca and Katharina for this superb day! We hope our home re-creations will do you justice! Disclaimer: we were given a complimentary session in exchange for a mention in this blog post and coverage on social media. However as always, all pictures and views are our own. That apricot cake! How apt that you two should take a cookery class while on holiday. I know nothing about Vienna's food scene so I enjoyed this post. So cool! This looks like it was such a fun day! I'm still so jealous of all this travelling you're doing and the fun stuff you're getting up to. The food you cooked looks so good! Sounds amazing! Makes me want to hop on a plane to Vienna! !